Preheat oven to 170 degrees Celsius. Place feta on a lightly oiled tray and bake in the oven until they are just warmed through. 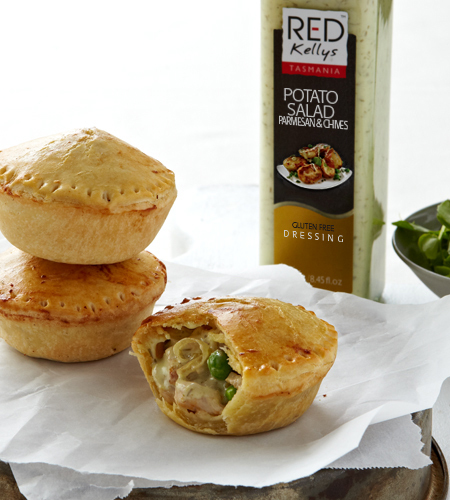 Meanwhile, combine lemon juice, olive oil and Red Kellys Tangy Traditional Dressing in a small bowl. Season with salt and pepper. 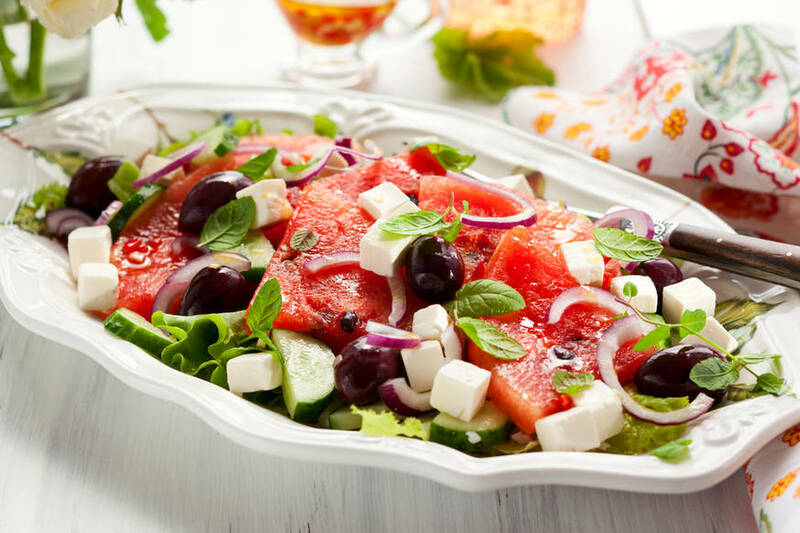 In a salad bowl, combine watermelon, red onion, olives and parsley. Drizzle over dressing and top with feta before serving. Enjoy!